Teen Patti is a card game which stirs up the emotions of many regular card game players. Almost everyone, who has ever indulged in card games, could connect with this game as it is the easiest game one learns when taking his initial steps towards the fun world of card games. This blog is a shout out to all the Teen Patti players to test their knowledge and expertise of the game. If you think you’re an expert now then think twice! It won’t be easy to get through the questions asked further in this post. So are you ready to test your mettle? Ask your friends to join you in the quiz and have a spectacular time quizzing them as well. You will be astonished to find some new interesting facts and tactics about your favourite game of all time. Question #1 If you have the cards like K-9-5 of different suits, and your opponent has the combination K-10-Q ,of different suits as well, then who do you think will win the game? Question #2 Is it okay to bluff in the game? Question #3 When can you expect to ask for a show in the game? Question #4 When are you actually eligible to ask for a ‘show’? Question #5 What are the rules of ‘sideshow’ in the game of Teen Patti? Question #6 Which is the higher one in the hierarchy table, a straight run or a normal run? Question #7 Which player has the high chance of winning the game- Player A with cards 6-5-4 of different suits or Player B with cards 2-6-9 of the same suit? Question #8 In what variation of Teen Patti does the hierarchy of the combination of cards is effectively reversed? Question #9 Which is the highest combination of all in Teen Patti? Question #10 What profit/loss a player face while folding? Well, I’m sure you must have got all of them right but it won’t hurt to check out the correct answers now, will it? Answer#1 First of all you need to know that it is a high-card case which means that none of the three cards comes in the categories of run, color, trio or pair for that matter. So, all one is left to do is to compare the highest card of the two combinations then the second highest card and at last the third highest card. Hence, here in this case, since the first card (K) is of the same rank we move on to compare the 2nd card and we find that the opponent has a higher card, moreover the third card of the opponent is higher as well. So the combination K-10-Q is higher and thus the opponent will win the game. Answer#2 Bluffing is a personal choice of the player. Typically, a player bluffs when he has seen his cards and he wants to misguide the other player into thinking that he possess the best cards or vice versa. However, it is not advisable to bluff when the size amount of the pot is huge. It’s way too risky for a novice player to bluff in such a situation. Answer#3 A ‘show’ can occur only when there are only two player left on the table i.e. all the other players have dropped. Answer#4 You cannot ask for a show if you’re a seen player and the other player is a blind player. A seen player can only either bet or drop out of the game. 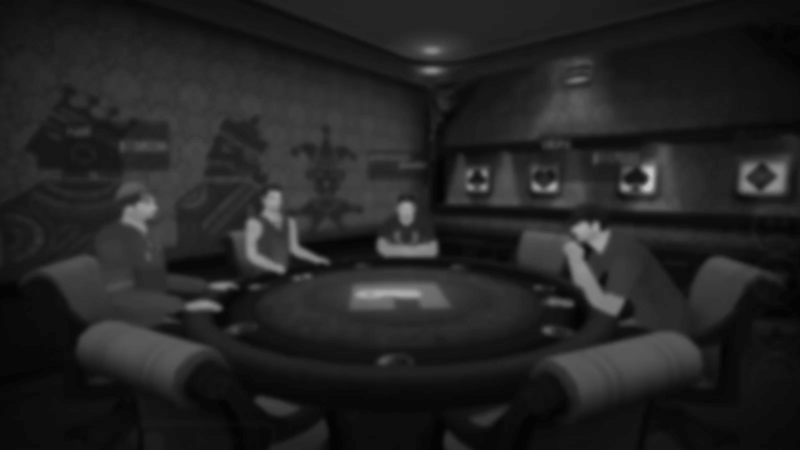 Answer#5 If all the players are seen then you, after betting the min. amount, can ask for a sideshow from the person who has bet immediately before you. If the sideshow is accepted by that player, then both of you compare your cards privately and whosoever has the lower set of cards has to fold immediately. However, if both the cards are of the same level then the player who had asked for a compromise must fold his cards. Answer#6 As seen in the hierarchy table below, straight run is always higher than a normal run because all the cards are of the same suit in straight run. Comparison of cards according to their rank. Answer#7 Again, refer to the table above for this question and you will find that the sequence (6-5-4) is higher in rank in comparison to that of color (2-6-9). Answer#10 A player folds when he knows his cards are bad and he has no scope of winning the game. When a player folds he does not have to put in more money to drop out. He just loses the amount he had put in the pot initially. So, this was a rapid fire round of your knowledge on Teen Patti. I hope you and your friends must have enjoyed it. If not, then what are you waiting for ? Go on and try it out with card buddies. Enjoy!